Gillum, Jamie. Twenty-five Hours to Tragedy: The Battle of Spring Hill and Operations on November 29, 1864 Precursor to the Battle of Franklin. (Jamie Gillum, CreateSpace Independent Publishing Platform: 2014). 504 pages, illustrations, 42 maps, appendices, notes, bibliography, index. ISBN: 978-1-4701-0681-2 $34.16 (Paperback). To understand the disastrous Confederate result at the Battle of Franklin, you need to understand the previous day’s action at Spring Hill, Tennessee, on November 29, 1864. To understand the action at Spring Hill…good luck! Or at least that’s the way it has seemed for almost 150 years. 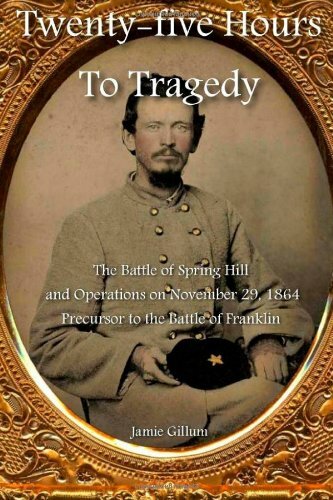 In Twenty-five Hours to Tragedy: The Battle of Spring Hill and Operations on November 29, 1864 Precursor to the Battle of Franklin, author Jamie Gillum provides a plethora of first person accounts from key witnesses along with his own observations. Gillum describes the action thoroughly, offers his expert opinion on what happened, and ties those first person accounts together into a cohesive whole. As many readers know, this is difficult enough to do for battles which occurred in daylight. The problem at Spring Hill was that many of the controversial actions of the day played out after the winter sun set. So how well did the author do? Read on to find out. Author Jamie Gillum, who self-published this second edition of his Spring Hill book, has been collecting primary source material on Spring Hill and studying the Civil War for over 35 years. That’s as long as I’ve been alive. He also spent 14 years in the U. S. Marines. Gillum utilizes more than 150 primary sources to bring the story of Spring Hill alive. The author made a conscious effort to insert more of his own opinion into this second edition, a welcome and needed addition to the book. He also improved the maps. My opinion of this operation was significantly altered as a result of reading Twenty-five Hours to Tragedy. I think many readers’ opinions will change in the same way mine did, both about some of the personalities involved and the battle as a whole. John Bell Hood’s 1864 Tennessee Campaign is widely regarded as a terrible failure, wrecking an army and ending any chance of Confederate success in the West. What many don’t know is how incredibly well the campaign began and how close it came to wildly succeeding. Hood moved into position opposite Columbia, Tennessee, on the Duck River, in late November 1864. The town was held by John Schofield’s Union army, which was trying to buy time while reinforcements were gathered into a cohesive whole at Nashville to the north. He left one Corps under Stephen D. Lee at Columbia to pin Schofield’s forces there. With his other two Corps and Forrest’s cavalry, he launched a bold flanking maneuver, crossing the Duck River to the east of town and marching quickly north cross-country for Spring Hill. Hood’s objective was to cut Schofield off from Franklin and Nashville, along with the Union reinforcements then gathering in latter city. Though Hood faced significant obstacles (Schofield had the direct route and a good road on which to march) the Confederate general essentially won the race to Spring Hill. 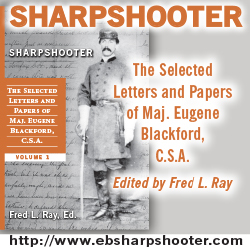 Few Federal troops were there when Forrest’s Cavalry and Frank Cheatham’s Corps approached. If the Confederates could simply beat the Federals to Spring Hill or some point between there and Franklin, Schofield’s army would be in serious trouble, cut off from supplies and friendly forces. Through a long series of errors by many Confederate generals that afternoon, the road leading from Columbia to Spring Hill…and more importantly, from Spring Hill to Franklin, was never blocked. The Confederate forces were tantalizingly close to doing so on multiple occasions, but couldn’t close the trap. It’s the story of Hood’s efforts to get the road to Franklin blocked and trap Schofield’s little army, his army’s failure to do so, and WHY they failed to do so, which comprises this book’s raison d’être. As Confederate commanders desperately tried to make sense of the situation in the darkness, Schofield’s Union army marched past them, succeeding only barely in escaping the trap Hood had so promisingly set earlier in the day. This was one of the most harrowing escapes of the war, an amazing story, and one which ended very poorly for the Confederates. Ultimately, the sun set early on this short winter day, the confusion only grew worse for the Confederates, and Schofield lived to fight another day. That day was the very next one, at Franklin, where Hood’s army was repulsed in a bloody frontal assault. Gillum argues, successfully, in my opinion, that the failure of the Tennessee Campaign happened on November 29 at Spring Hill, not at Franklin or Nashville. The failure to block the road led to the absolute necessity of a frontal assault at Franklin, and one which wasn’t predestined to fail. In fact, several key Union commanders indicated they feared just such a frontal assault in post-war accounts. Indeed, if it weren’t for the insubordination of Colonel Emerson Opdycke, whose brigade was kept by him in a reserve position at exactly the right spot, the Franklin attack may have succeeded just as Hood had planned. Author Jamie Gillum wrote this book, he writes, to show readers why Franklin happened as it did. Readers of this review are probably wondering who Gillum thinks is responsible for the Confederate failure at Spring Hill. Was it Hood, as army commander, for failing to make sure his subordinates understood exactly why it was so important to block the road to Franklin? Was it Hood for failing to personally lead men onto that all-important avenue of Federal escape? Was it Frank Cheatham, whose Corps was the first Confederate infantry to arrive on the scene? Was it Cheatham’s division commanders, especially Cleburne and Bate, who were at times so near the road they could see and hear Federal troops using it? Was it famous cavalry commander Nathan Bedford Forrest, whose cavalry attacked the road north of Spring Hill at Thompson’s Station, but who didn’t manage to stay astride it. Was it possibly Corps commander A. P. Stewart, who was supposed to extend Cheatham’s right to the northwest and gain the road north of Spring Hill? Or was it some combination of the above? More importantly, WHY did these failures occur? We’re discussing the meat of Gillum’s book here, and I encourage you to buy the book to find the answers to these questions and more. The maps are plentiful, though clustered in the center of the book. This makes it necessary to have a second bookmark for the map section as you move through the text. Despite this minor annoyance, the maps do a good job of accompanying the text. Gillum provides several public domain maps from participants and authors first before moving into his own. The maps help follow the constantly evolving action, and the author did a good job of showing the positions of both sides down to regimental and even company level in places. A book of this type needed many maps to help the reader understand why Hood’s army failed to block the all-important road to Franklin, so it’s encouraging to see them included an done well. The first person accounts which are so important to this book are laid out in a very easy to understand style. First person accounts are bolded, allowing the reader to easily distinguish between these and Gillum’s accompanying text. Gillum mined newspapers, organs of veterans such as Confederate Veteran and the Union National Tribune, and many other sources. The editor of Confederate Veteran, Sumner A. Cunningham, was present at Spring Hill in the Confederate ranks, and his magazine included a lot of content about this small but ultimately critical affair. The Official Records, memoirs, and regimental histories are also mined thoroughly. It is clear the author has mined every conceivable place, and his efforts should be commended. Twenty-five Hours to Tragedy: The Battle of Spring Hill and Operations on November 29, 1864 Precursor to the Battle of Franklin is the best explanation of Spring Hill, and by extension Franklin and Nashville, I have ever read. Gillum sets out to discover who failed and why at Spring Hill to the extent he can with the accounts available, and his conclusions seem sound based on the presented evidence. This is one of the best self-published books I’ve seen in terms of editing, maps, and the like. Don’t let the fact that this book is self-published discourage you from buying it. Students of the Civil War in the west, of John Bell Hood, and of close calls will find this book fascinating. Those with preconceived notions of Hood or what exactly happened at Spring Hill may find those notions changed after a careful reading of the text. Most importantly, Twenty-five Hours to Tragedy will help you better understand the Battle of Franklin, and why Hood had no chance to win the campaign unless he attacked frontally and immediately that day. I can’t recommend this book enough. It belongs on your shelf alongside Eric Jacobson’s work on the campaign and Stephen Hood’s look at how John Bell Hood has been badly misrepresented over the last century by certain historians. To understand the disastrous Confederate result at the Battle of Franklin, you need to understand the previous day’s action at Spring Hill, Tennessee, on November 29, 1864. To understand the action at Spring Hill…buy Jamie Gillum’s book. I read a preliminary manuscript of Jamie’s book and cannot agree with you more on all your observations and opinions. It is outstanding, and essential reading for anyone wanting to understand the Spring Hill affair. 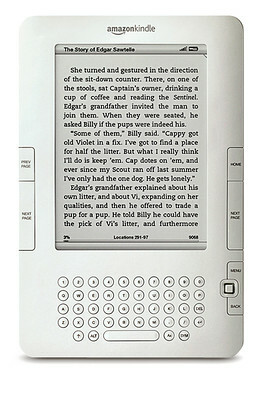 One important and unique feature of the book that you didn’t mention is that it is structured and presented in chronological sequence. Jamie explains what happened (and failed to happen) in the sequence of the events…sometimes down to the minute. The organization and presentation of the book makes a complex series of events much easier to understand. Thanks for commenting, and good point on the chronological ordering of the text. Jamie does a very good job of clearly labeling the time period’s often to make a confusing fight a little easier to understand. Your review has defintely made up my mind to order this book.on civil war tall we will be discussinng eric a.jacobsoon’s book “for cause and country” starting on aug. 4th.I hope this book arrives before so it can add to my knowledge of Spring Hill. and Franklin. Thanks Mitch. I saw that thread a week or so ago. Sounds like a good idea. I wish I had more time. If I did, I’d participate. I live in Spring Hill and interested in what really happened!